The Trump administration is not making it easy to predict what a NAFTA renegotiation will look like for Canada. On the one hand are demands from the U.S. president for a “fair” new framework for North American trade that puts American workers first. On the other are suggestions from Trump’s commerce secretary, Wilbur Ross, that the significant concessions Canada and Mexico made in the defunct Trans-Pacific Partnership — a decidedly unfair deal — are an obvious starting point for NAFTA 2.0. While this is a difficult situation, Canada is not defenceless. In fact, Canada should call Trump’s bluff by championing a fairer distribution of the benefits of trade — presumably the idea behind the Trudeau government’s ambitions to usher in a new generation of “progressive trade” agreements. Anxiety about trade and globalization runs deep and goes beyond Trump’s core supporters. Canada’s negotiating agenda will need to reflect that reality. It just so happens there are ways to redo or replace NAFTA to make it a better deal for workers in all three countries. An obvious first step is to include strong, fully enforceable labour standards. Mexican workers, whose real wages have stagnated under NAFTA, and who are rarely free to join independent unions, would be the primary beneficiaries. But rising wages and improved working conditions in Mexico and many Southern U.S. states would provide support for the same in the rest of North America. The Trump administration’s talk of strengthening NAFTA’s rules of origin (i.e., higher North American content quotas for duty free access) could also benefit North American manufacturing workers by discouraging the use of high levels of offshore content, such as auto parts from Asia. Another area where Trump has blown hot and cold is on investment protection in NAFTA. Canada is the most-sued of the three countries under a controversial investor-state dispute settlement process in the agreement. Bad rulings, such as when Bilcon, a U.S. mining company, recently won damages for the impact on its investment of a rigorous environmental assessment process, put a chilling effect on legitimate public policy. The U.S., meanwhile, has never lost a case. There is no room for these unreasonable investor protections in any truly fair NAFTA update. The Trump administration intends to bolster Buy American purchasing policies, which could side-swipe Canadian suppliers. But the government’s standard response — to seek an exemption for Canadian goods — has fallen short before and will fare much worse today. Canada could instead propose reciprocal “Buy North American” policies for new public infrastructure spending. If this is rejected, Canada should maximize national economic spinoffs on its own planned public investments through Buy Canadian policies. While these changes would all make NAFTA moderately more worker-friendly, there are lines that Canada should not cross. 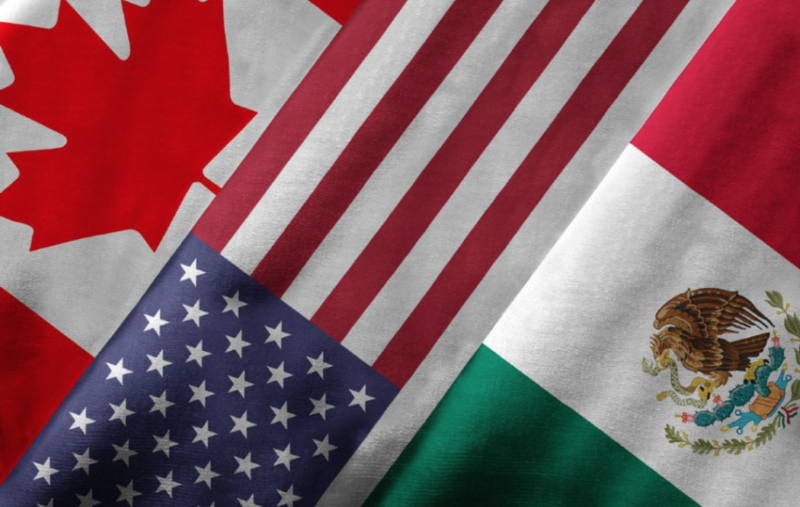 With U.S. industries teeing up a long list of trade remedy challenges against Canadian industries (lumber, aircraft, steel and aluminum), Canada can hardly give in to U.S. demands to eliminate or weaken NAFTA’s Chapter 19 binational review process. If anything, it needs to be strengthened. U.S. trade authorities have dragged out the process beyond agreed timelines and are reluctant to comply with panel rulings, most obviously when it comes to lumber. Nor should Canada tolerate Trump’s scapegoating of Canadian dairy farmers. Ditching supply management would simply put our dairy farmers in the same predicament as their U.S. counterparts, who suffer from the effects of overproduction and farm-gate prices that fall below production costs. Commerce Secretary Ross says Canada has an “anti-patent” position when it comes to pharmaceuticals, which is both false and worrisome. It would be exorbitantly expensive for Canadian consumers and our health care system if we gave in to pressure to align our system with excessive patent protection in the U.S. In general, Canada’s immediate priority should be maintaining its tariff-free access to the U.S. market. But it is not too early to be considering an exit strategy. If NAFTA were to come apart, perhaps through an executive order from Trump if Canada or Mexico balks at U.S. demands, WTO-bound tariff rates would then apply. This would be disruptive, but not catastrophic. Under that scenario, Canadian exporters could face an additional US$3.5-5 billion in customs duties, equivalent to the value of 1.25 to 1.8 per cent of current exports. That’s a speed bump, for sure, but would not bring trade to a screeching halt. If an “America First” NAFTA would be worse for Canada than the multilateral alternative, we can and should walk away from the table. Scott Sinclair is a senior researcher with the Canadian Centre for Policy Alternatives and director of the centre’s Trade and Investment Research Project. This op-ed was first published in the Toronto Star.